Slave RPG is a role playing game that takes place in a dystopian near future, where the housing market crash had a quite different outcome. You will need to find ways to make money and escape your debt so that you can go back to living a normal life, and possibly gain slaves of your own to financially ensure your future. It's currently in development, with it expected to release in March this year. Currently, they're offering up a free download of the beta which seems to work reasonably well on Linux. A basic plot that doesn't force the player into it and instead serves as a pushing point for exploration. Each non-player character is completely unique and not copy and pasted, meaning that each conversation is completely unique to that character. 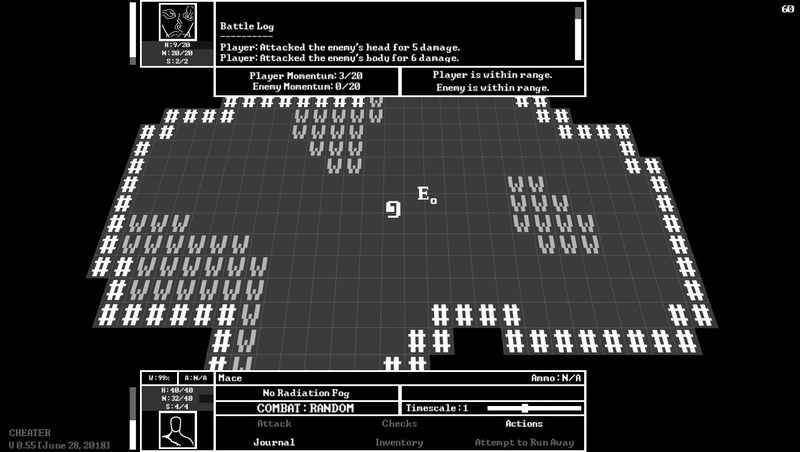 An arena with numerous tiers and modes to fight through. Six different races to choose from, each one having their own stat limits. Eight different classes with support for creating custom classes. 17 towns to explore with historically inspired locations taking place across central Texas. Multiple endings that are dependent on how you play rather than preset choices. You can try out the current free beta build on Indie DB. You can also follow it on itch.io. I'm going to have to give this one a test run, it is very much right up my alley.